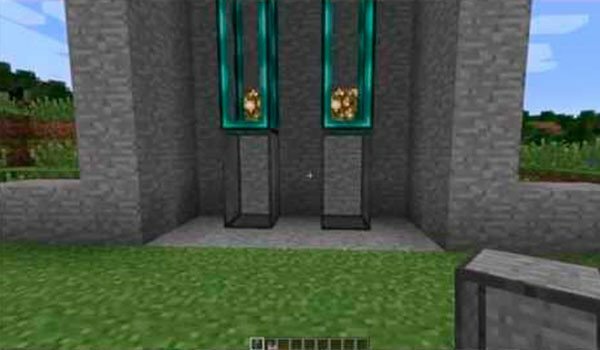 If you want to add elevators in Minecraft, check out this mod. Tube Transport System 1.7.10 is a mod that lets you create “lift”, and we put it in quotes because in reality it does not create lifts, but it allows to a kind of craft pneumatic tubes that will drive you from one end of the tube to the other . In this case, if placed vertically, they function as elevators, although in reality they are not. These tubes can take you in vertical, up and down, as well as in horizaontal, from right to left parallel to the ground. Moreover, these tubes can transport entities, so we can use to transport animals and villagers. If you want the pipe to move you up, you have to craft it from the bottom to the top, whereas if you want to move down, you have to craft from the top to the bottome. The same is for horizontal displacements, always build in the direction you want to move. How to install Tube Transport System Mod for Minecraft 1.7.10? Have fun with new pipes workin as elevators!